There are cycling and walking pathways throughout the entire city. The best this is that the tourists don’t always know about them. Start your walk from any point on the shore. Walk by a beach, an outdoor swimming pool and even by a river filled with salmons. Take a free walking tour of the city. It’s a nice way to learn more about the city and meet fellow travelers. Feed the ducks at Tjörnin (The Pond). Spend some time in the surrounding park, too. Visit the country in September and participate in the fall sheep round-up, or réttir. Take a dip in the Blue Lagoon. It is not located in the city , but it’s easy to get to, especially from the airport. The Perlan is the city’s landmark. The dome contains a restaurant and a café and there’s a viewing platform , too. Shop until you drop. Go to the Kolaportið Flea Market for interesting souvenirs. Enjoy a night out. The city might be small but the nightlife is very lively. Take a trip to Videy Island and see Videyjarstofa, the oldest stone building in Iceland. See the Northern Lights. Head out of the city for the best views. The best time to plan your visit is from September to April. See the grandeur of Gullfoss (‘Golden Falls’), Europe’s most powerful waterfall. Visit Hallgrimskirkja Church (Church of Hallgrimur), a tall church with an observation deck. Laugardalslaug Thermal Pool is the largest geothermal pool in the city and is open in all weather conditions. Read: Never and Idle Moment: Iceland. 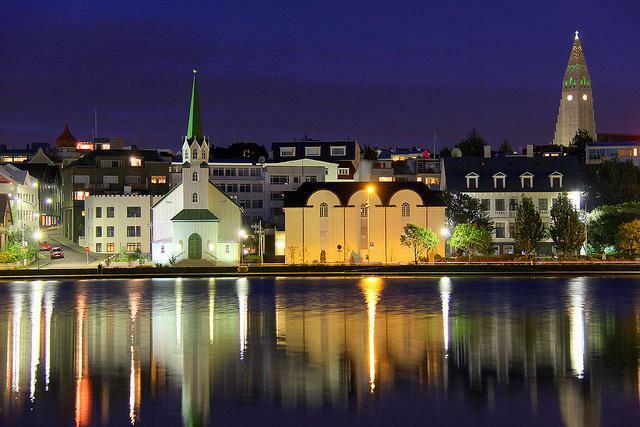 Iceland is expensive and Reykjavik is one of world’s most expensive cities. However, due to the economic problems it’s finally cheaper to visit Iceland. By September, the peak season is over and the prices are lower. The weather is notoriously unpredictable and is changing from one moment to another. While the winters can be warmer than the ones in New York, you can witness all four seasons in one day. And don’t count on too many sunny days, either. Reykjavik is a small city, but obviously still the center of nearly everything in Iceland. The brightly colored buildings give the place almost a storybook quality, but Reykjavik also has high quality dining and nightlife options that you might expect in a large capital city. During the summer the sun barely sets so the parties often go on all night, but as you might have heard, this is an expensive city for almost everything and drinks are no exception. Reykjavik is a great walking city and you should plan to spend part of a day just strolling through the historic town center. The quaint buildings and bright colors make for some great photo opportunities. The Hallgrímskirkja Church is hard to miss as it’s easily the tallest structure in town and is on a hill. You can climb the tower for a small fee to get a great view of the city and there is a statue of Leif Ericsson out front. Iceland has its own special breed of horses that have an amazingly smooth gait. If you are a horse lover you should check out one of the rides available around town to experience this for yourself. The Blue Lagoon is not in Reykjavik, but it’s not far away, especially from the airport. This outdoor Geothermal spa is the most famous attraction in the country, and should not be missed. Read: Nine Incredible Things to Experience in Iceland. Unless you are on a cruise of some kind, or are a really strong swimmer, the only way in and out of Iceland is through Keflavík International Airport (code: KEF). You can book a ticket to Keflavik, and you should be especially mindful of the deals Icelandair offers. 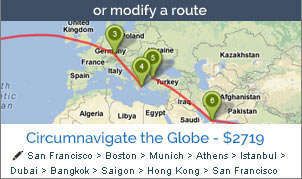 They have competitive fares from Europe to North America that can include a multi-day stop in Iceland for nothing extra. The airport is well out of the city, but shuttle buses are available. Read: 10 Reasons to Visit Iceland Now. There are a few hostels in Reykjavik and of course many hotels in Reykjavik as well. 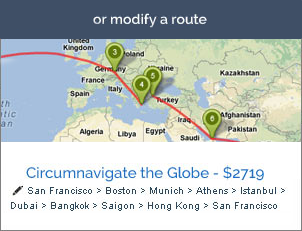 Things tend to be expensive here so the more affordable places usually book up earliest. Plan well ahead, particularly if you are coming during summer.